Learn English in Manchester by taking an English course at our partner school, BSC (British Study Centre). The school was founded in 1991 and has a great amount of teaching English to students from all over the world. Manchester Academy of English is situated in a historic building right in the heart of Manchester. 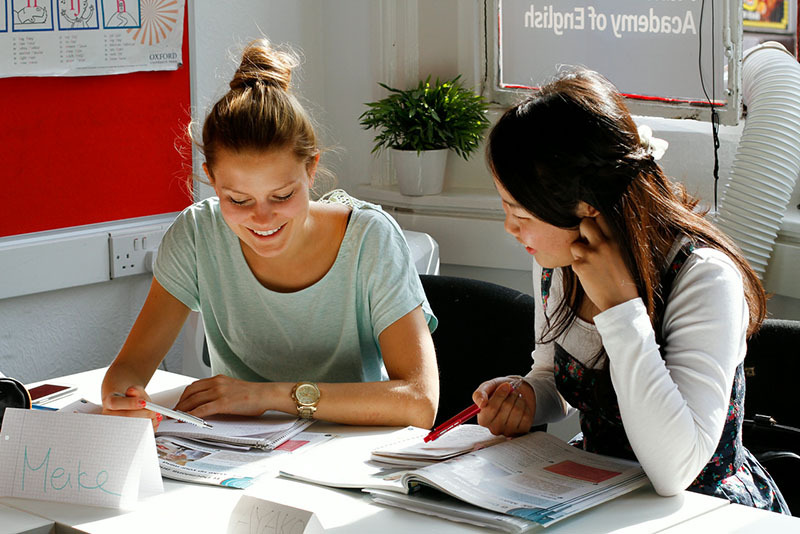 The intensive English course in Manchester consists of 15, 20, 25 or 30 lessons per week in groups of 14 students maximum. Lessons are focused on developing communication skills (reading, speaking, writing and listening). General English lessons (15 per week) are normally taught in the morning. If you choose the 20 lesson course, you have 5 extra lessons focussed on Speaking & listening. If you book the course with 25 or 30 lessons, you will also have afternoon lessons in addition to the morning course. single room: € 37 per stay. Arrivals between 8AM and 10PM. Late arrival fee may apply if arriving after 10PM. A double room can be only booked for two people travellling together. The minimum age to stay at the residence is 18 years. Arrival can be on a Saturday or Sunday. Departure must be on a Saturday, and students must be checked out by 10am. The price stated here is for an airport transfer upon arrival at Manchester airport or Picadilly Train station. The price of an airport transfer upon arrival at Liverpool airport: € 103 p.p. The price of an airport transfer upon arrival at Leeds Bradford airport: € 152 p.p. Transfer from London is possible. Prices on request. Please indicate on booking form from which airport you would like to be picked up. In 2019 the school is closed on the following dates: 01/01/2019, 19/04/2019, 22/04/2019, 06/05/2019, 27/05/2019, 26/08/2019 and from 23/12/2019 to 29/12/2019. Missed lessons are not being reschedule or made up. The afternoon intensive course with 15 lessons per week is a low-cost variant of the morning intensive course. Lessons are held from Monday to Friday, from 12:20-13:10 (Speaking & Listening), and additionally you have special "afternoon sessions" held from Monday to Thursday, from 14:20-16:40. The afternoon sessions are focuses on two of the following subjects: Grammar & Writing, Wordpower, Business English or Exam Writing Skills. The Cambridge course in Manchester consists of 25 lessons per week and prepares you for the FCE or CAE exam. Cambridge First and Advanced exams cover writing, reading, grammar, listening and speaking and the course at British Study Centres will prepare you for all these different parts of the exam. The course works across the skills base and concentrates on English in use. In addition, you will do a lot of work on areas of general English, so you certainly will not spend all your time doing practice exams. At the end of the course we want you to pass the exam but also to have learned a lot of English and to have enjoyed your stay. Exam fees are not included in prices (approx. 175 GBP). *Please note that the exam takes place during the week after the course has ended, so an extra week's accommodation is needed. Access to dedicated study room, exam preparation materials and academic guidance is provided during that week. The 4-week CELTA (Cambridge Certificate in English Language Teaching) teacher course consists of minimum 120 hours giving non-native teachers of English a thorough grounding in all aspects of teaching the English language to adults.The CELTA course is for anyone who is at least 18 years old and is competent in both written and spoken English (C1 minimum). This course is ideal for those who would like to increase their opportunities of living and working abroad or would like to obtain an internationally-recognised teaching qualification. Throughout the course you will also attend a variety of sessions and workshops that cover for example classroom management skills, lesson planning, language analysis and teaching methodology. Stay with a host family whilst you learn English in Manchester. All host family accommodation is located near a public transport line (bus/metro/train) and is approximately 30 minutes away from the city centre. All of our host families in Manchester will offer you a clean, friendly and comfortable stay whilst you take your English course in Manchester. The residence Wilmslow Park, is ideally located within walking distance from the University of Manchester and just a short bus journey from Manchester's city centre - with regular bus services that stop directly outside Wilmslow Park it will only be a 10 minute journey to the school. You will be living in a shared flat with other 3 students (4 in total), fully-equipped shared kitchen and communal areas. You will stay in a single room with your own private bathroom. Free Wi-Fi throughout the property. Furthermore you will have access to newly refurbished areas including communal areas, study spaces, 24 hr residents gym, outdoor basketball court, games room and spacious lounge areas with sky TV. Along with these are all the facilities you would expect, laundry, bike storage, secure entry system, CCTV and a 24 hour staffed reception means there is always someone on hand should you need anything. Minimum age is 18 years. The school residence in Manchester is available year-round. The building is used exclusively by students of the language school and is located in a popular shopping district, Newton Heath, close to the market. You can reach the school by public transport within 15 minutes. The Victorian building has bright and large rooms, which provide enough space to study and relax. Optionally, you can choose to stay in a single or double room with a private shower. The shared bathrooms are in the hallway. The residence has a fully equipped kitchen, a dining room with a large table, and a living area.